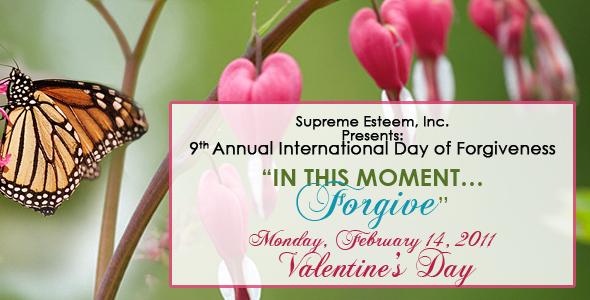 Past Event: 9th Annual International Day of Forgiveness: “IN THIS MOMENT…FORGIVE” – Supreme Esteem, Inc.
Ms. Hazél has authored a 30-day Forgiveness Journal and produced a Forgiveness CD. 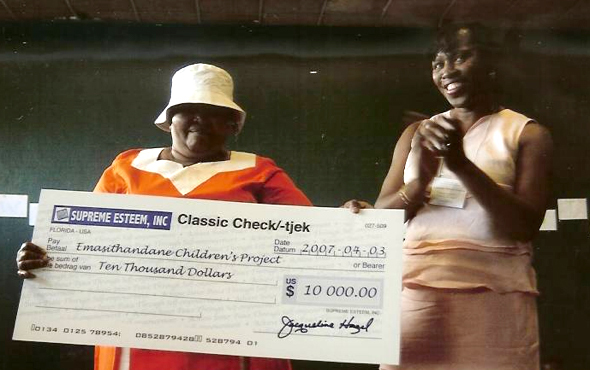 Under the auspices of Supreme Esteem, Inc., she organizes forgiveness retreats where she not only provides participants with forgiveness tools but also offers them an opportunity to broaden their knowledge about other cultures by traveling to other countries. 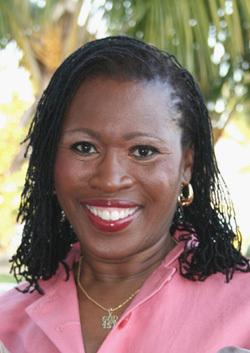 The 2011, “Paving the Way to Forgiveness Retreat” will be held in the country of China! In a spirit of peace, harmony, and diversity, all over the world, we are invited to join Ms. Hazél in having a “forgiveness experience.” Expect your life to change, as you avail yourself in this awesome encounter! 1. Be willing to forgive yourself and/or someone else. 3. Write on a sheet of paper or index card what you are willing to forgive yourself and/or others for. Then, shred the paper in a paper shredder or tear it in little pieces, symbolizing that you are free from allowing “pains of the past” to hinder you from enjoying life to the fullest! 4. If the person you want to forgive is deceased or in order to avoid confrontation, write a “forgiveness letter.” I suggest you include in the letter the statement: “I forgive you and lovingly release you to your highest good. I am free and you are free!” DO NOT MAIL THE LETTER. Shred the letter or tear it in little pieces, again symbolizing that you are free from allowing “pains of the past” to hinder you from enjoying life to the fullest! 5. If you have deep-seeded feelings about the incident, that don’t seem to go away, I suggest you seek professional counseling.